It’s undeniable at this point that mods do very well in extending the lifespan of any game that supports their use. Publishers who leave them out are said to be behind the times, and those who are in the vogue seem to have been looking for ways to get in on the action. Their efforts have now culminated to this, and what seemed good now doesn’t. What seemed like a helping hand at first later became a stick-up, if you wish to see this truly as a travesty. Whatever your thoughts are on what’s happening in Steam Workshop at this point, all you have to do is look at Steam Greenlight and think about what you’d give your money for. Modders are an under-appreciated bunch, toiling away with great ideas but with little to no compensation. Whatever they do get is in the form of donations and gratitude, but that may not be enough. Modding does lead to further avenues in game development and other related fields, but it can also break you down due to the time and energy that goes into it and how little appreciation you may get in return. A handful of them do capture their “lightning in a bottle” like Gooseman did with Counter-Strike, the people who worked on DotA for WarCraft III, and whoever made Killing Floor for Unreal Tournament 2004. But then again, their works then go on to be owned by publishers that may or may not reward their efforts accordingly, depending on who they happen to deal with (whether they’re decent human beings or not). NOTE: I can only go by the information available as of this writing, and I admit that I may not have gone through the sources as thoroughly as I could due to time constraints. If you spot anything wrong or misplaced, please leave a comment or message to inform me of it. When games are released, there’s nothing much that players can do to make it better other than having better specs. Back in the day, there were expansion packs if the publisher decides that they can sell some sort of follow-up. Then the idea for DLCs came about, and it’s like the Fire Nation attacked. The DLC was essentially the death of the cheat code. Why provide open secrets for free if you can just charge customers for them? Ideally, DLCs are to function like expansion packs from the days of yore because that’s what they should be in the first place. However, a big percentage of DLCs are essentially just paid enhancements, and we’ve seen some bad practices like on-disk DLC and other such nonsense. As many publishers continue to milk cows with piecemeal DLCs, games that have mod support were getting a lot more mileage while titles that have day-one DLCs and tons of other excessive crap were falling by the wayside for various reasons like not having enough core content, being blatant cash grabs, and so on. When the idea of paid mods in Steam Workshop came up, I was very much on board the idea. I was (and still am) all for paying good money for really good mods, especially those that totally change the way the game is played. But when I started to look deeper into this whole issue, I realized that I may have been mistaken. This post in a Steam forum thread makes for some interesting reading. More on that below. The paid content program for Steam Workshop had been in the works for a while now, and The Elder Scrolls V: Skyrim was the game that was to be the spearhead of this initiative. There are also the Fallout games and the previous TES games, but Skyrim is the quintessential game for mod-crazy players. When “console peasants” start getting brave and making noise, the “PC gaming master race” dangle the PC version of Skyrim with its countless mods in front of them like it’s garlic to a vampire, and it works quite well. Despite it all looking rather good at first, there had to be a catch somewhere. The big catch with Steam Workshop’s paid content program is that modders take a 25% cut, while 75% goes to Valve and Bethesda. It doesn’t seem all that good for modders, especially with the amount of complex work that goes into modding, but those who were on board were promised a future where ambitious projects like Skywind and Falskaar can become even more possible. Even if they can justify that modders merely work with already existing games which are the intellectual property of others, having the bare-faced cheek to establish a payment model for something that people already avail of for free and take a 75% cut from it is poor form. So when this whole selling of mods thing came up in Steam Workshop, the seemingly lucrative Skyrim mod market was up for grabs. Chesko, a Skyrim modder, decided to get down with it by offering his mod The Art of the Catch for sale. It lets you fish in Skyrim with a rod and reel, so you don’t have to chase after salmon underwater like a bear and catch them like an intelligent human being. Turns out that Chesko had been invited to take part of this new thing by Valve around a month and a half before it went live. With the prospect of being able to make money from his work and being a part of the next level of modding, he accepted. With a deadline looming and an experiment waiting to be partaken, he went to work with his optimism guaranteed by Valve. When it finally came out, his mod The Art of the Catch was one of the first to be offered for sale. But unfortunately, as if it was by fate, his mod got pulled out from the program for using content from another mod called the Fores New Idles in Skyrim. It wasn’t entirely his fault since he did ask Valve if it was alright to make use of another mod to form the basis for his mod, and Valve said it was okay. Talk about Valve customer support making its mark yet again, not to mention their legal department. After having his mod was taken down from sale, he wrote a lengthy and emotional post on Reddit to explain his side of the story. 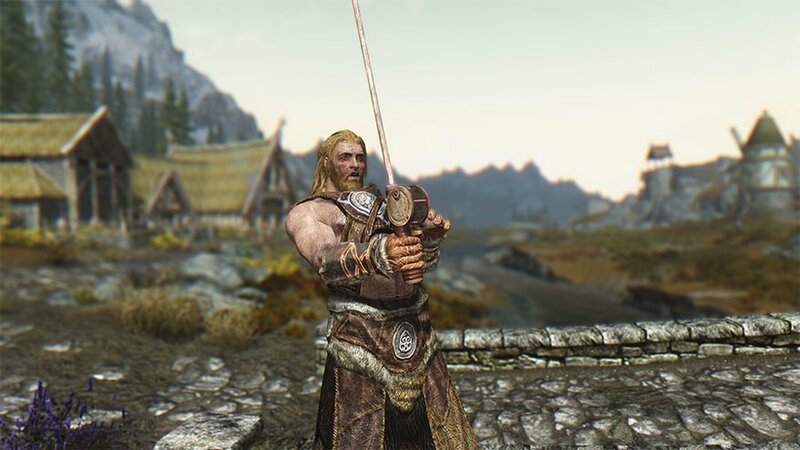 He had been in contact with the author of the Fores New Idles in Skyrim mod and had smoothed things out. However, he was also wrangling with a lawyer from Valve and got the news that not only would his mod be marked as unpurchasable, but also won’t be completely removed from Steam Workshop. Since his hard work came up blank because of unforeseen technicalities, he wanted to take it down completely, but Valve’s legal team is keeping that from happening. He then announced his retirement from modding. After all that, it would have taken the strength of a thousand just to move on, so his raising of a white flag was understandable. Whether he was a liar and a thief for having used FNIS without permission or was screwed over by a non-disclosure agreement that kept him from contacting the author of FNIS in the first place, the repercussions have driven a man away from a hobby and community he once loved. Dark0ne, the owner of Nexus Mods (a leading mod provider for Skyrim and other titles), posted an impassioned and sympathetic reply. Is the Chase Really Better Than the Catch? When I first heard of the news about the paid mods, I envisioned a library of big mods like Skywind and Falskaar — fan-made expansion packs that add tons of new content. However, it turns out that just about any kind of mod can be charged for, including cosmetic enhancements. What was I really expecting then? The main problem here is that the lines on the sand are too vague to see clearly and the odds are stacked against the modders, even if they get to earn some money out of it. It’s hard for most people to grasp the conditions that have been abruptly set by these circumstances. Here’s an attempt at making sense of this. One of the great things with mods is that there usually are several variations of the same idea and users can just pick the one that is right for them. If you aren’t sure of which one you like best, then you try them all and see what’s what. This development threatens to stifle that freedom and make modding less of the freedom to explore that it had always been. As of right now, I have yet to make more sense of this whole thing since I dove into it as soon as these events started to get reported. Maybe with a bit more time, I can think of something more constructive to say other than just lamenting the supposed loss of freedom. What I can say for sure is that if this does result in modding being less attractive to those who want to tinker with games, then that’s enough to declare it having done more harm than good. A big part of what makes modding great is the community behind it, and this development has divided it between those who want to keep mods free and those who want to boycott third party mods in an effort to grow. The latter stance may seem senseless to most, but the argument is that with Valve at the helm of modding, it could grow even more than what Nexus was able to manage alone. In Nexus, users are given the option to donate to modders if they’re satisfied with their work and willing to support their continued efforts. However, as many would argue, these donations are not enough since only a small number of users ever donate anyway. I also thought that donations and ad revenue were never going to be enough, which was why I was on board the paid mods train at first. Some people on the other side are now calling for actions like boycotting Nexus completely and other such drastic and desperate measures to see something good come out of this while trying to stay on a balanced position by not condemning Valve outright. Some of the arguments do seem convincing. The statistics used to hit that point home may or may not be verified, but it does make the argument for paid mods rather compelling, if these points are to be believed. In any case, we can only hope that the modding landscape doesn’t turn entirely into a wasteland because of this mess. With all of that having come to pass, my initial optimism now seems very naive. As with most corporate decisions, there’s little chance of backing out once they’ve pushed with implementation, and they just patch up the holes as they see them coming. Some say that modding never needed Valve to live, so Valve can’t kill it. Well, I do hope so. The petition on Change.org for removing paid content on Steam Workshop had reached over 45,000 signatures in one day. You can say what you want about online petitions, but it does speak of how most people feel about this. UPDATE: Valve pulled out paid mods after the uproar. Whether it’s permanent or just to figure out a better way of doing it, we don’t know yet.